As Elliott points out in his editorial accompanying the paper by McEvoy and colleagues, chronic obstructive pulmonary disease (COPD) is the commonest indication for home non-invasive ventilation (NIV) in Europe, although there is little evidence of its benefit. McEvoy and colleagues describe the largest to date randomised controlled trial of combined NIV and long-term oxygen therapy (LTOT) compared with LTOT alone in hypercapnic COPD. 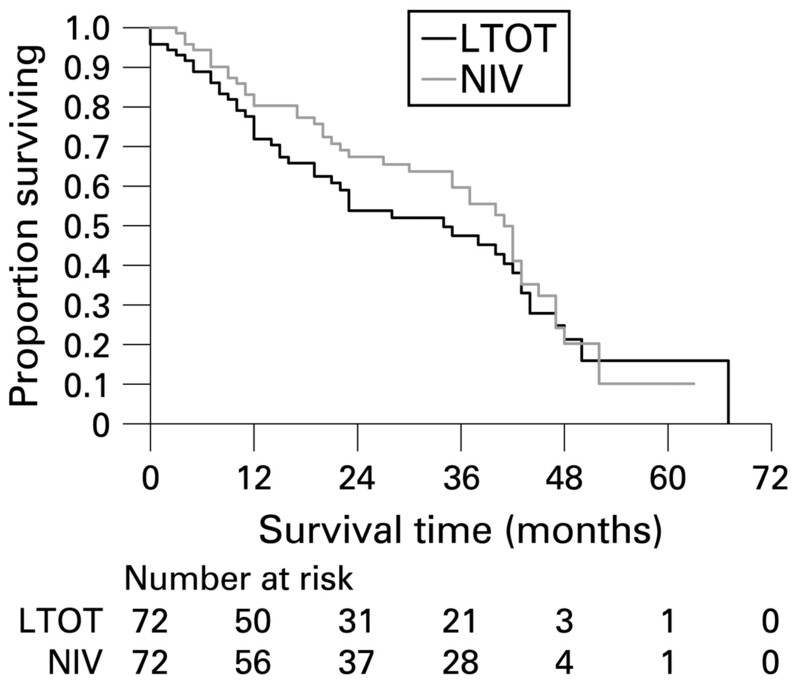 The use of combined NIV and LTOT showed a survival benefit, although no changes were observed in the disease specific health status measure (St George Respiratory Questionnaire). Surprisingly, there was some worsening of quality of life on the generic questionnaires. Elliott suggests that the absence of improvement in health status may be associated with the lack of change in arterial PCO2 and discusses the importance of effective control of nocturnal hypoventilation with NIV. He concludes that there is sufficient evidence to fund major clinical trials in this area but, in the absence of such trials, patients with hypercapnic COPD who are on LTOT should be offered home NIV. Survival curves of patients randomised to non-invasive ventilation (NIV) plus long-term oxygen therapy (LTOT) and LTOT alone. Although diet has been implicated in the aetiology of a number of conditions, the relationship between diet and asthma has not been clearly defined because studies of vitamin supplementation have been generally inconclusive. In this month’s Thorax, Allen and colleagues report on a systematic review of 40 studies investigating the association of vitamins A, C and E and asthma. Relatively low dietary intake of vitamins A and C were associated with asthma and wheeze, although vitamin E intake was not related to asthma. In an accompanying editorial, Cassano reviews evidence for the “diet–asthma” hypothesis. Both Cassano and Allen and colleagues conclude that the associations between vitamins A and C and asthma aetiology and progression require further studies with large controlled trials that are of longer duration than those available to date. The relationship between asthma and breast feeding has also been unclear; in particular how this association develops over time and whether it is influenced by maternal or paternal allergy. In this issue, Scholtens and colleagues report on an epidemiological study of Dutch children that assessed the association between breast feeding and asthma from 1 to 8 years of age. The results show that breast feeding is associated with a lower asthma risk in children until 8 years of age, regardless of the family history of allergy. Breast feeding was not associated with bronchial hyper-responsiveness. In the accompanying editorial, Oddy reviews the results and discusses some of the biologically plausible mechanisms by which breast feeding may impact on the aetiology of asthma. Community-acquired pneumonia is associated with considerable morbidity and mortality and is an important cause of hospital admission. 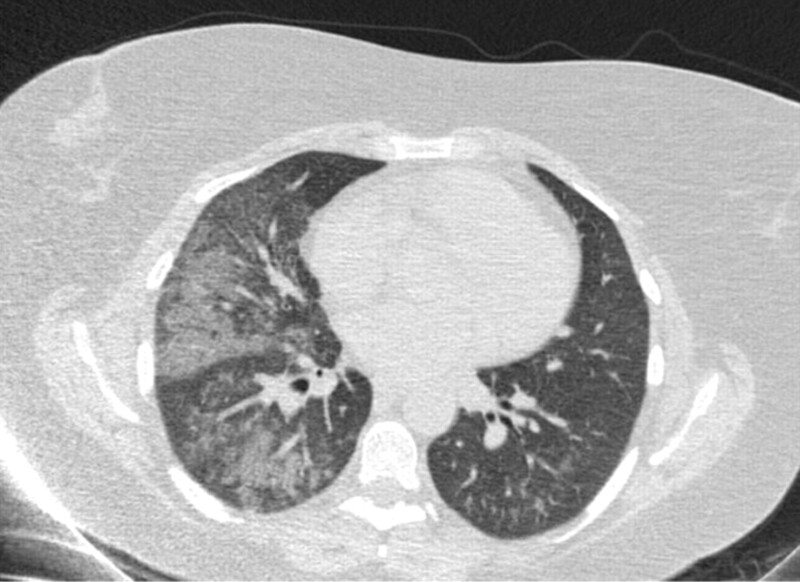 There are now a number of prognostic scales available for pneumonia, for example PSI (Pneumonia Severity Index) and CURB65 (Confusion, Urea nitrogen, Respiratory rate, Blood pressure, ≥65 years of age), although host inflammatory response has not been previously included in these measures. 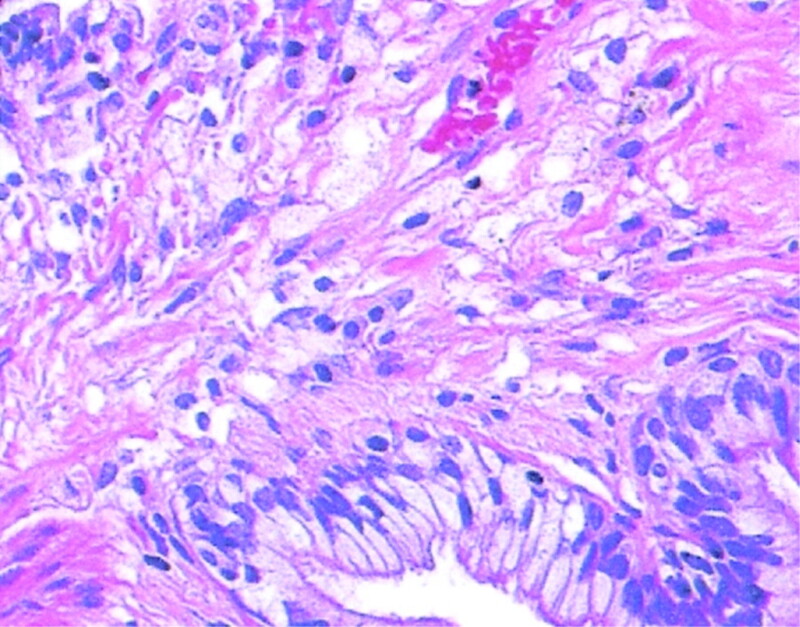 In this issue, we publish two papers on how biomarkers improve pneumonia prognosis: Chalmers and colleagues report on seven clinical factors, including biomarkers that predict development of complicated parapneumonic effusions or empyema. Menendez and colleagues show that adding C-reactive protein measurements to PSI and CURB65 scales improves 30-day mortality prediction. In an accompanying editorial, Brown discusses these two papers and gives us indications as to how biomarkers can be applied in the management of pneumonia.